An extensive Specialty Program from SSI offers you many opportunities for further training to improve your skills and deepen your theoretical knowledge.There is a program for each activity.In these short programs we show you new equipment, train advanced skills and explain crucial connections. 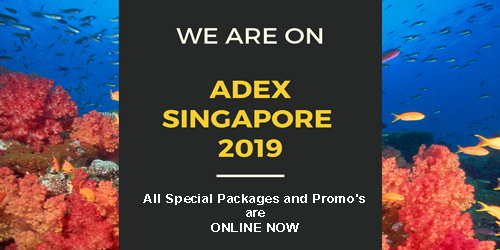 There are different topics.Some of the programs need an extensive theory other more training underwater.We recommend the certifications “Nitrox”, “Deep Diving” or “Independent Diver.”You must prove these certifications to participate in such activities. Other programs, like “Perfect Buoyancy” or “Navigation”, are tailored to your needs.This training will improve your skills and increase the fun factor. Worth mentioning is the “Stress & Rescue” course where safety as a theme is central. 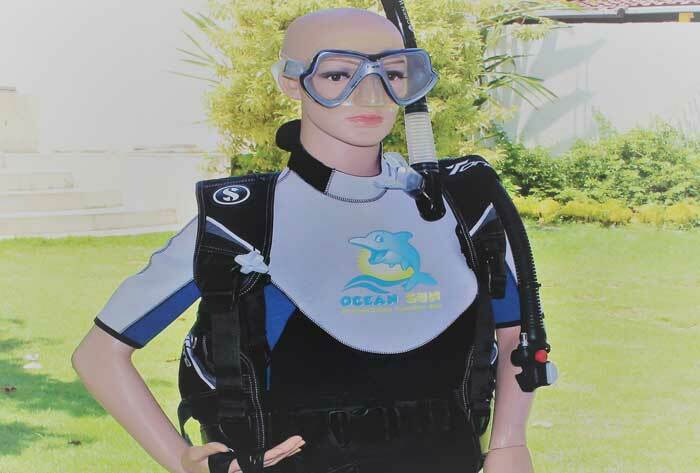 This program provides the necessary knowledge and skills required for safe diving with oxygen enriched air mixtures. 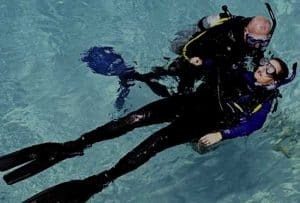 This program provides the knowledge and skills to improve your diving position, to better control your buoyancy and to minimize your air consumption. In this program, you will learn the skills required to dive safely and comfortably to a deep below 18 meters. This program provides the necessary knowledge and skills for safe and comfortable diving at night or at limited visibility. This program provides the necessary knowledge and skills for safe and comfortable navigation during a dive. This program provides the necessary knowledge and skills for safe diving around wrecks and artificial reefs. This program provides the necessary knowledge and skills to safely dive in different dynamic water worlds. When Sidemount diving you carry the diving tank on your side which relieves the back and gives a better swimming position. In this course we show you how to do it. 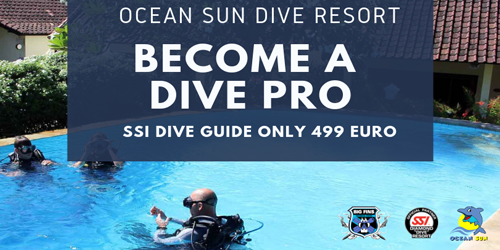 This program provides the necessary knowledge and skills to safely and comfortably dive without a dive partner. In the SSI Equipment Techniques program you will learn which Total Diving System suits you best and how you can properly care for and store it. 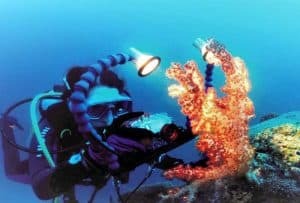 In this course we will explain the advantages, settings, types and use of the dive computer. 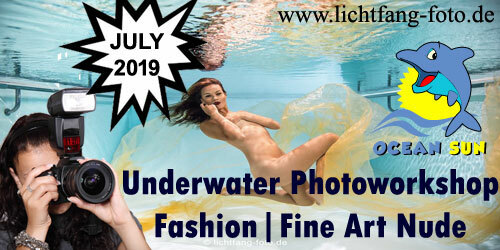 This program provides the necessary knowledge and skills to successfully create underwater photos and videos. Learn that the dreaded robber is really a beautiful animal that deserves our respect and protection. This program provides the necessary knowledge and skills to recognize and identify the most common families of the reef fishes of the Caribbean, the Indo-Pacific and the Red Sea. This program provides detailed information on physics, physiology, decompression theory, aquatic environment and diving equipment. This program provides the necessary knowledge and skills to provide first aid in emergency situations. This program provides the necessary knowledge and skills to identify stress, avoid accidents, and act appropriately in emergency situations. The Stress & Rescue course is based on a first aid training. In this package we combine the stress and rescue course with SSI's React Right program. Nitrox is diving with oxygen-enriched air and offers the advantage of longer no-decompression time and more safety in diving.In the course we explain the additional risks of oxygen during diving and show you how we avoid them.We will do a dive with a focus on planning and preparation.The focus is to analyze a bottle and explain how to set up your computer. 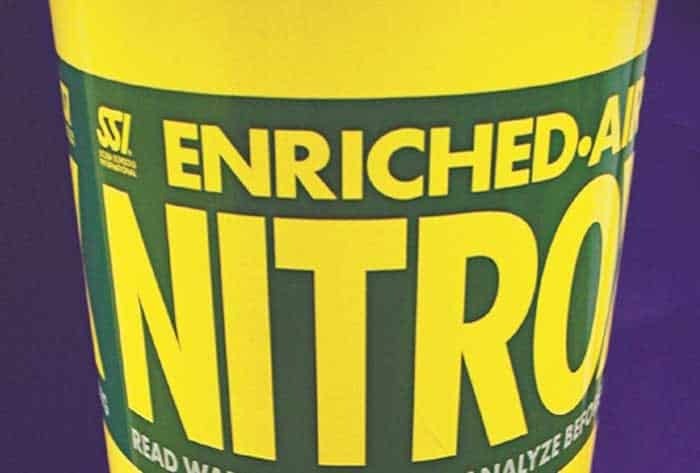 Nitrox is one of the most popular “specialties” in scuba diving because this knowledge offers immense benefits in terms of planning and performing dives.After completing a written test, you will receive your certification that will allow you to plan and conduct dives with Nitrox. A good buoyancy is the basement for all diving activities.It improves your air consumption, your well-being under water and protects the environment through an excellent floating position and balance control. 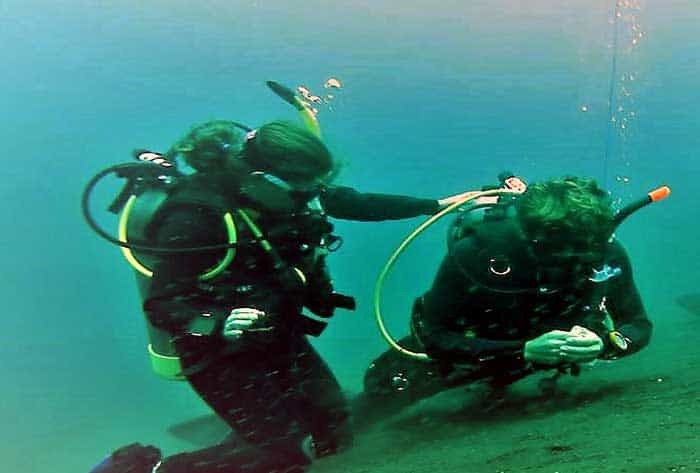 We train this skill in the course with specific exercises and teach essential theoretical knowledge on this subject.There are two dives in the program.We describe the physical connections in theory and show how to use them for your advantage.This course is an absolute recommendation from us and has already helped many guests on the way to becoming an experienced diver. 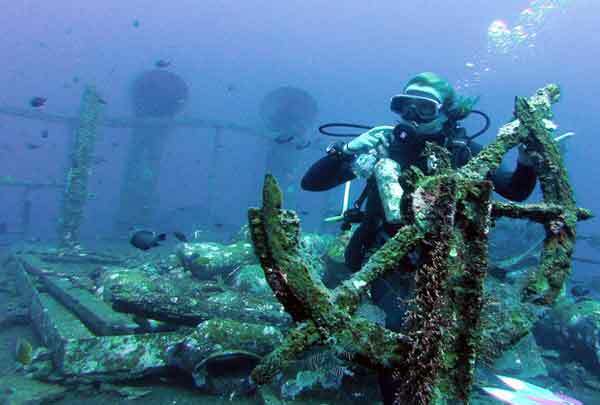 Many of the most exciting and fascinating dive sites are deeper than 18 meters. Deep diving can be dangerous without specific training.The Deep Diving program provides you with the essential knowledge and experience to perform deep dives safely and relaxed. We will complete three dives in this course. These will gradually lead you to your new limits. The theory starts with a quick review to the knowledge you learned already in your Open Water Course. It continues with expanded explanations of the additional hazards of deep diving. After completing a written test, you will get your certification which expands your deep limit up to 40 meter depths. 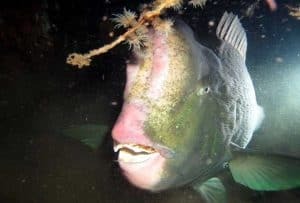 Many divers have respect for the first dive at night but it offers adventure and fascination.Many are surprised what everything can be discovered at night. 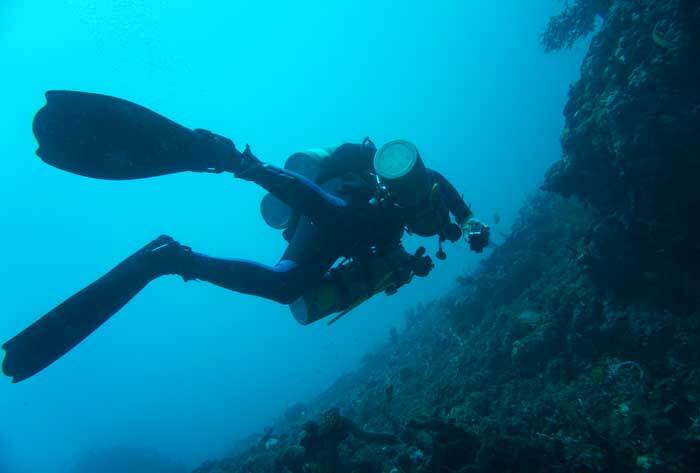 Dives with limited visibility are another challenge we discuss in this program. 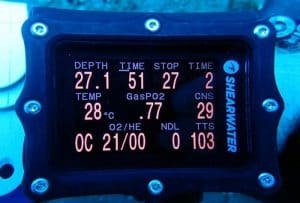 We will complete two dives at night in this program.Here we describe the additional equipment to you and show you how to operate them under real conditions.You will learn to plan and conduct dives at night and with limited visibility, so that these dives will be a safe adventure. 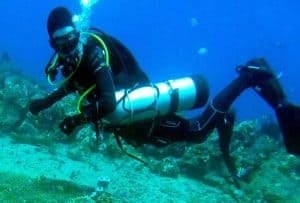 To become a safe and responsible diver, it is essential to master the basic rules of navigation.In the course we will complete two dives.You learn how a compass and natural navigation techniques work. 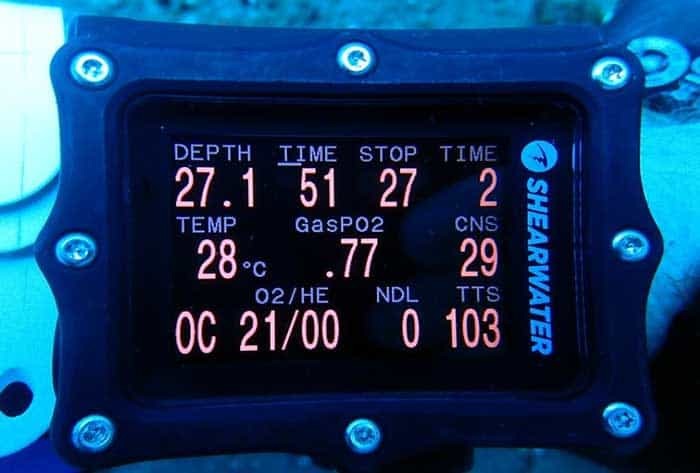 We provide you with in-depth information on the required equipment, skills, knowledge and experience needed to safely navigate a dive site using both a compass and natural navigation techniques.In addition, you train to go from certain fixed points and return to them. This course improves underwater perception and increases the fun factor. Exploring a shipwreck is one of the most exciting diving experiences.Particular skills are required to enjoy a sunken vessel. 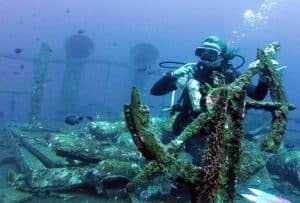 Our diving area is ideal and offer two wrecks.The „Liberty Wreck“ and the „Boga Wreck“ offers ideal conditions to teach and show you all about wreck diving.Two dives are planned in this course.In theory, we discuss the organization and execution of wreck dives. This course shows you everything you need to know to do relaxed dives on wrecks safely. Water movement can seriously affect the success of your underwater adventures.Appropriate training in dealing with currents is essential for your safety. The Waves, Tides & Currents program will train you for such situations.In the course will complete two dives and show you the power of the water under real conditions.We demonstrate how we use them to our advantage by drifting with the current. Waves become a substantial issue by getting in to the water from the beach. 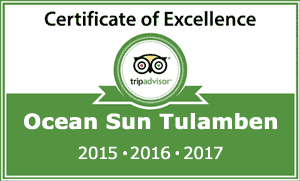 Tulamben offers three dive spots which start from the shore. Therefore, we can show you the right technique at the sites. 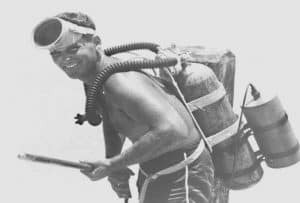 What has long been practiced in wreck and cave diving, is now discovered by recreational divers.The simple, pleasant and weightless diving without the load of the equipment on the back is becoming increasingly popular. Who does not want to try this experience? Another advantage is the use of two bottles in the dive and concerns that the air is not enough are no longer an issue.In the course there are two dives explaining the new equipment and how it works.A new sense of underwater balance needs extended training in buoyancy.At the end, you are entitled to rent sidemount equipment and use it for your dives. 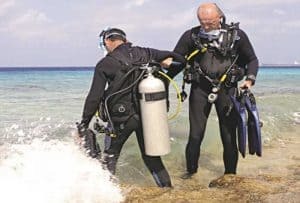 Diving without a buddy carries additional risks.It places specific demands on equipment, knowledge of the diving and own abilities.You will learn more about your self-confidence and proper maintenance of the equipment.We show and explain the organization and rescue techniques required for your solo dives. In the program we complete three dives.You have to prove at least 100 logged dives as this course needs a certain diving experience. Your “Total Diving System” is like a competent buddy under water.The program shows you how to properly maintain your gear and make minor repairs.This maintains the functionality and increases the lifetime. 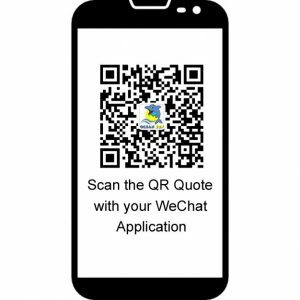 Additionally, we try showing you in this program which equipment suits best to you and how important your own equipment is. 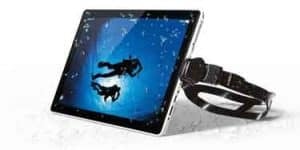 A major step in the history of diving was the development of diving computers.Computers are now standard equipment for every experienced diver. The market now offers a variety of models.The course explains the operation, handling and maintenance of a dive computer.In practice, we will plan and carry out two dives with a computer. The program provides the necessary knowledge and skills to dive with an underwater photographic camera and use it properly. We’ll describe to you how to take care of the camera and how to store it. In addition, you will learn how to optimize your camera system with the right accessories. 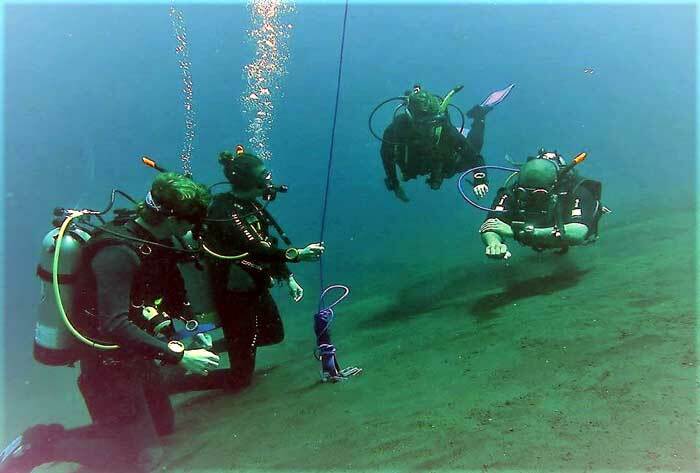 There are no dives required in this course. We’ll still do two dives to instruct you how to successfully capture your incredible underwater experiences. Many people are scared of sharks, but do they really deserve this reputation? They have always fascinated mankind, but are often misunderstood. This misunderstanding threatens the shark’s extinction, and enlightenment has never been more important. 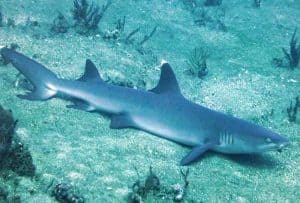 The “Shark Ecology” program helps you distinguish between facts and fiction and get the truth about these extraordinary beings. Here you will learn how to react appropriately when diving or snorkeling with sharks. When you think of a fish, which pictures do you imagine? What significant features do they have? 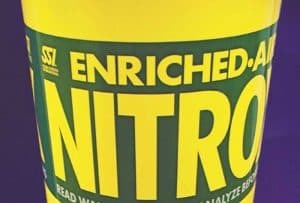 Exotic colors? A streamlined body?Unique behaviors? There are thousands of individual species of fish in the ocean. Although we can describe this diverse group of fish in many different ways, all fish have certain common characteristics. 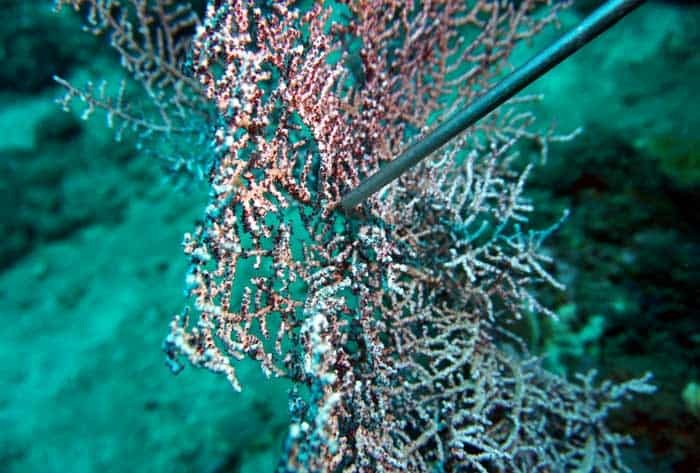 This program will investigate their biology, behavior, and human influence on them and how this affects the ecosystem of the oceans. We will discuss how to identify and classify a species. We will look at their physical characteristics, behavior, habitat and geographic location. 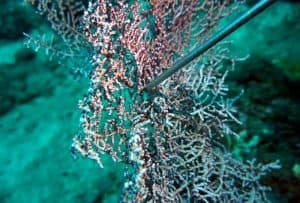 In two dives we observe selected species under real living conditions. The “Science of Diving” program covers all areas of diving theory in a comprehensive way.In the five topics physics, psychology, decompression theory, equipment and underwater world, you will learn background knowledge and contexts related to the diving sport. 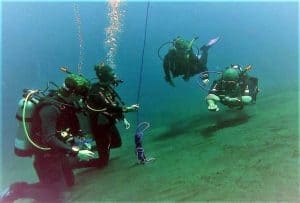 There are no dives in this 3-day program.This certificate is a prerequisite for achieving Dive Master certification at SSI. REACT RIGHT is SSI’s first aid program. It is a timely training program in the area of first aid, cardiopulmonary resuscitation, AED and administration of oxygen in diving accidents. In addition, it treats the primary care so that any accident can be safely treated. 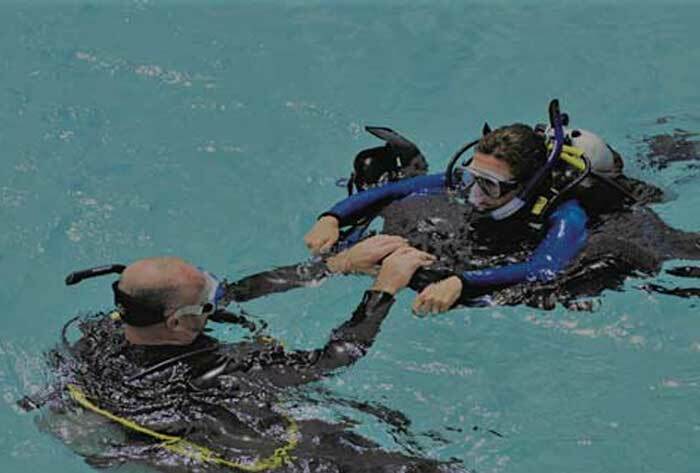 Participation in a REACT RIGHT program increases the diving safety and your well-being. 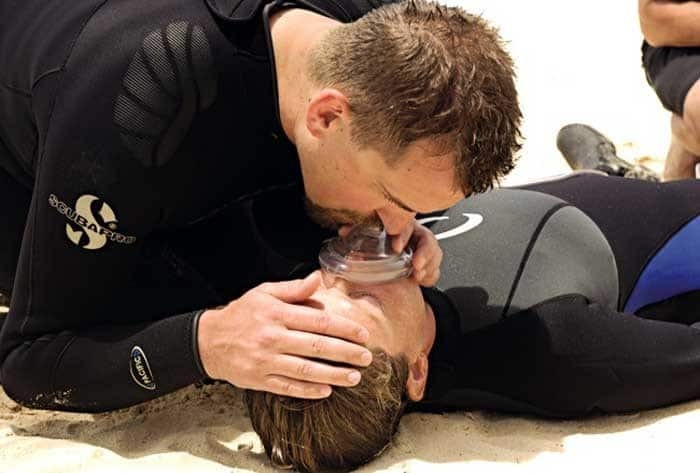 Likewise, SSI and other organizations need a valid First Aid and Cardiopulmonary resuscitation certificate to earn the Diver Stress & Rescue qualification. 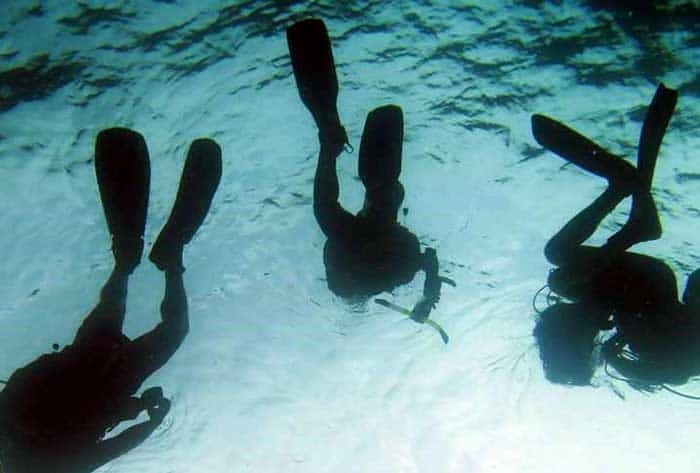 The course primarily trains you to identify and avoid diving emergencies in advance. It is a crucial step into the direction of the Divemaster. The course will not only expand your skills as a diver, but will also boost your self-confidence enormously. In the pool you will learn the techniques how to respond correctly to various diving emergencies on land and under water. You will find that there are several ways to solve a problem. In five theory lessons you will be introduced to the training sessions, and we will discuss real emergency situations. In the following three open water scenarios, you practice the techniques learned in the pool. It simulates diving emergencies that need you to react quickly. A successive evaluation looks at the rescue operation shown and together we try identifying weaknesses in order to optimize them for a real case. The presentation of a “first aid certificate”, which is not older than two years is required at the beginning of the rescue course. The Stress & Rescue Course is about preventing, detecting and solving problems above and under water. The React Right course deals with first aid, cardiopulmonary resuscitation, AED and administration of oxygen during diving accidents. In addition, it treats the primary care so that every accident can be properly addressed.